Defined as a construction of shelves and counter space behind a bar, used for storing bottles, glasses, etc. Sounds reasonable. And so the bottles stored there would logically be called back bars. 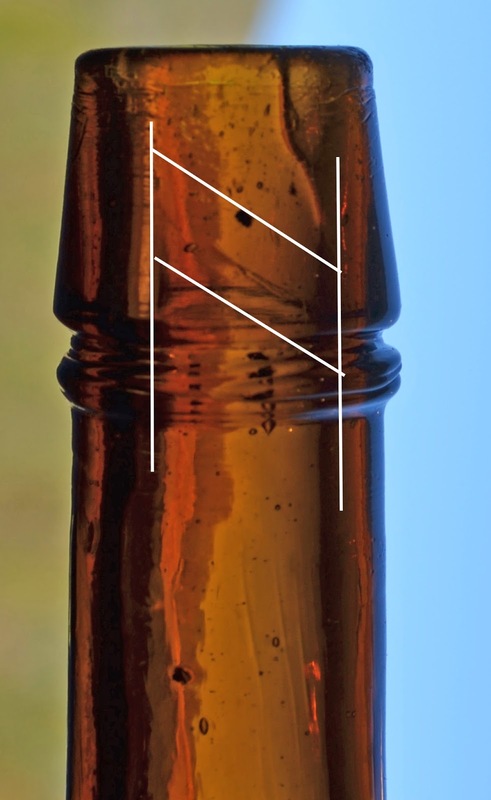 Back bar bottles can be divided into numerous categories. The two main divisions entail how the lettering was formed on the glass; enameled or wheel cut. A myriad of different shapes exist. There are cylinders, squats, bulbous, pinch, and just about everything else imaginable. The two most often encountered colorations are clear and amber; with clear far outnumbering colored glass. Back bars can also be broken down into generic or advertising. Advertisement back bars often contained both the name of the product, and the name of the wholesaler. Enameled western back bars in this category can be bank breakers! And let's not forget the king of the back bars; the LUG's (label under glass). This category take the phrase "mortgaging the house" to new heights. We normally encounter the generic back bars in the form of clear cylinders with the words "Whiskey", "Gin", "Port", "Rum" or "Scotch" "etched" (actually cut into the glass with a copper wheel). Often fancy floral borders surround the words. These are the most common, and occasionally we'll see a matching pair or set of three offered. In terms of desirability, many collectors gravitate toward the white enameled back bars. Occasionally we'll see multi-colored enamel on a bottle, in addition to just the white. A step up for sure. I'd hazard to say that we see 100 in clear - white enameled back bars to each one in amber. White enamel on an amber cylinder really "pops", and they are, in my opinion, show stoppers! They too, are occasionally seen in matching sets of two or three. Once in a while, something gets tossed your way that gives even a seasoned collector like myself reason to sit up and take notice. Recently, a close friend had the opportunity to see and photograph a collection that literally took my breath away. Yep, white enamel on amber. 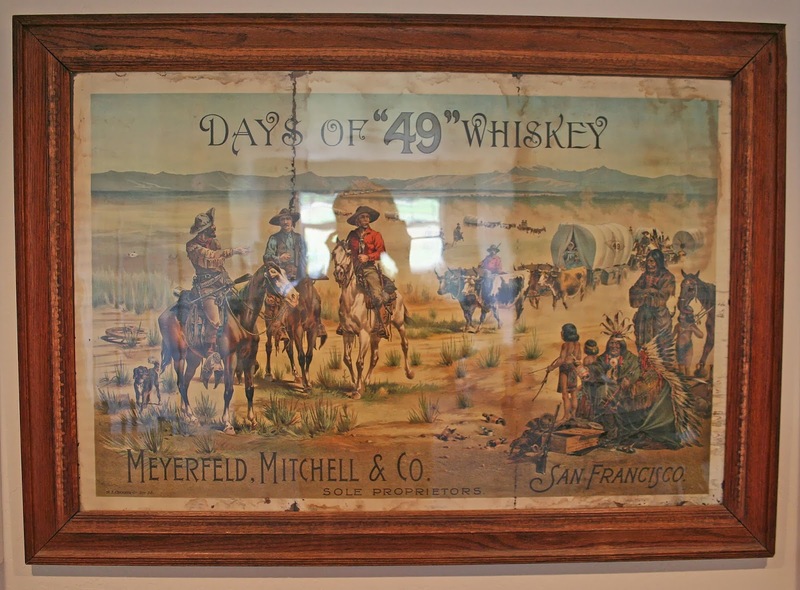 But not just two or three, we are talking a complete set of eleven that once graced the back bar of a western saloon! The white enamel boldly announces the presence of the obligatory "Gin", "Port", "Brandy", and "Rum", plus "Sherry", "Fernet", "Angelica", "Creme de Menthe", "Maraschino", "Anisette" and "Grappa". What makes this group especially exceptional, besides the combination of white enamel on amber and condition, is the presence of products that we never see or even hear about in the 21st century. Now here's the best part; The owner has expressed an interest in liquidating this collection but wishes to keep it intact. Please feel free to contact me should you have any further questions, or wish to entertain an offer. A follow-up to "Reasonable or Rip-off". A quick recap; Buyer gets winning bid for bottle, Winning bid is $70~. Buyer gets bill for over $100~ which includes the buyers fee and $18~ to ship the bottle which weighs under 2 pounds. The post script; "Insult to Injury". The bottle lot that I won at your latest auction arrived. The outside of the box was free of any damage and the bottle was wrapped in bubble wrap and had extra styro foam peanut cushioning inside. The bottle has undeclared damage that was not described in your auction. There is a 3/8" long crack in the top. It is not "just crudity in the glass". It is a crack that reflects light and is easy to spot. I am sending a picture of the damage. I can't find anything on your website that discusses this kind of a problem. What is your policy for taking care of undisclosed damage? The email was sent on the 23rd of February. Today is March 1st. The auction house never replied. The buyer at this time is stuck with a cracked bottle; one that they would not have bid on if it had been properly described.